As part of the reform programs of the Royal Government of Cambodia (RGC), the Ministry of Economy and Finance (MEF) has initiated a Public Financial Management Reform Program (PFMRP) and it was officially launched in December 2004. This program aims to improve the good governance and transparency in the National Budget Management especially in the national budget expenditure with the improvement of the standards of management and accountability in the effective mobilization of all government current and capital resources. The PFMRP, which is one of the government strategies for developing its country, consists of four main platforms: (i) improving budget credibility; (ii) improving financial accountability; (iii) improving budget policy linkages; and (iv) improving performance accountability. The first platform (Budget credibility), the goal was successfully achieved according to the plan and this led forward to the second platform “improving financial accountability” launching in 2008. 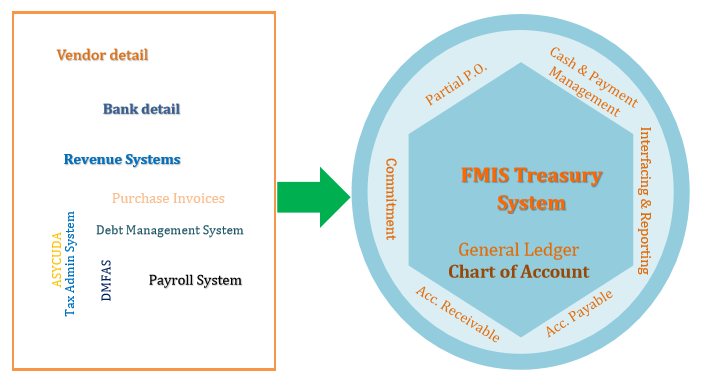 Within the second platform, FMIS (Financial Management Information System) project is formed as a core element to fully support PFMRP. 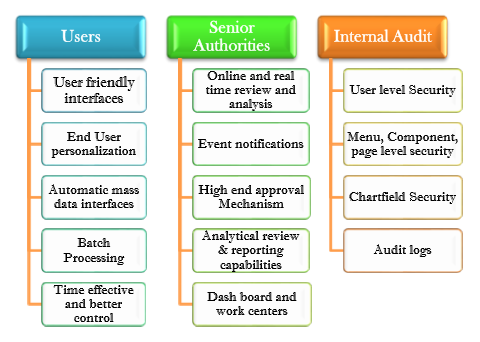 The FMIS project with its main task is to improve information both financial and service performance. 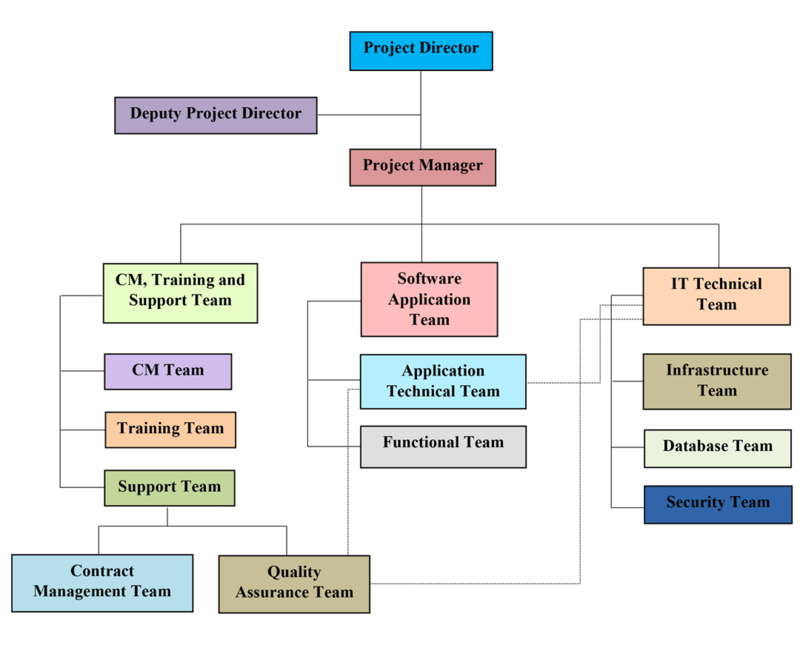 The FMIS Project Organization defines the human infrastructure of FMIS in which to define the project organization chart, the roles, and the relationships of the project team. For effective governance and management of the project to reach the final goal – successful implementation of FMIS, the project organization is formed to fit FMIS management requirements.